The target today is Port Angeles where we’ll catch the ferry to Victoria, BC. We’ll be spending a good part of the fourth in Canada. 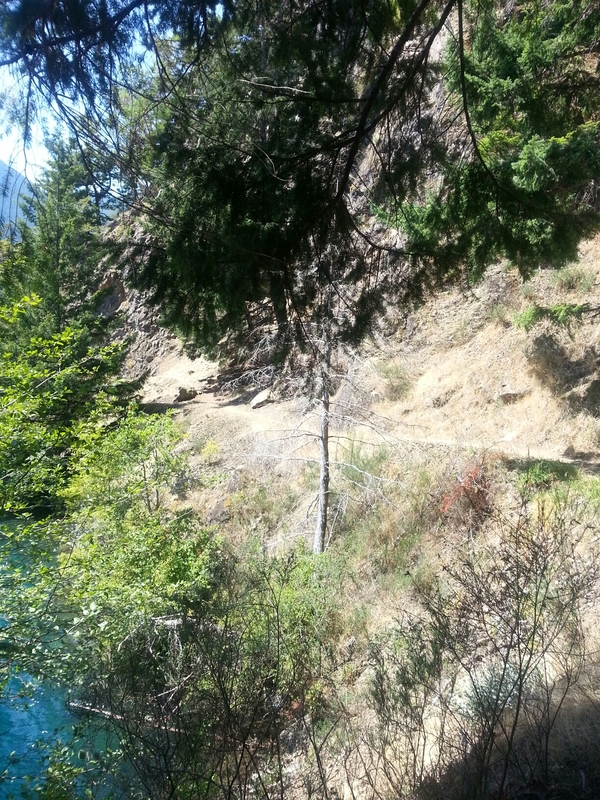 The great thing was that we could jump on the Olympic Discovery Route trail right away. 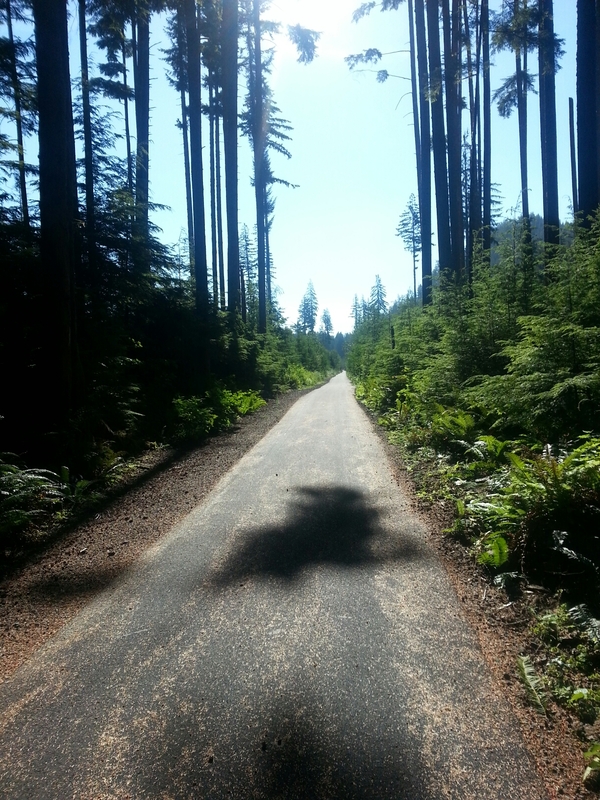 It is a paved trail that will eventually run from Port Angeles to La Push. That will be spectacular. This is how it looked. 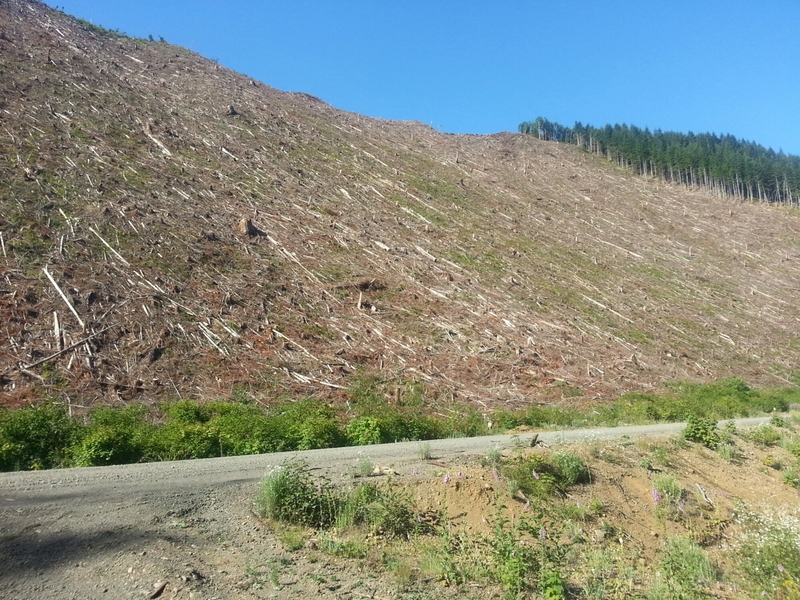 This is also how it looked – logging.. 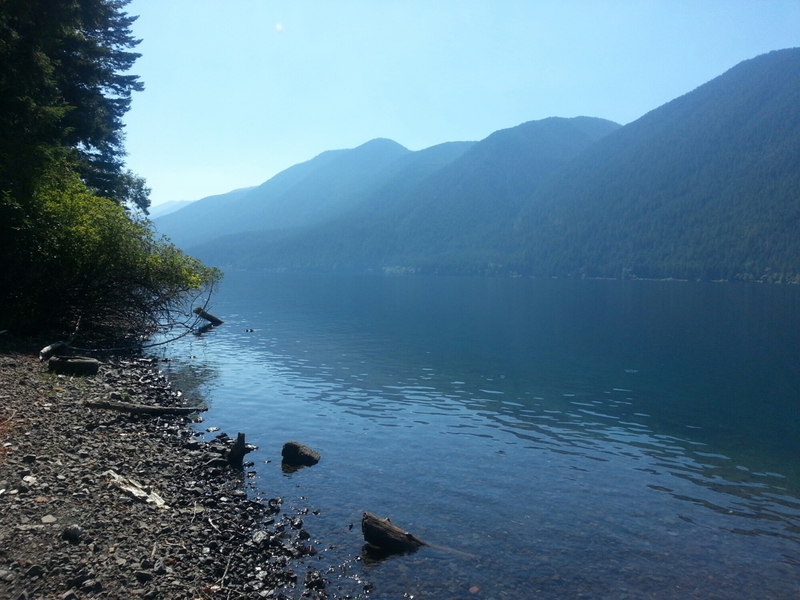 The trail is incomplete around Crescent Lake. 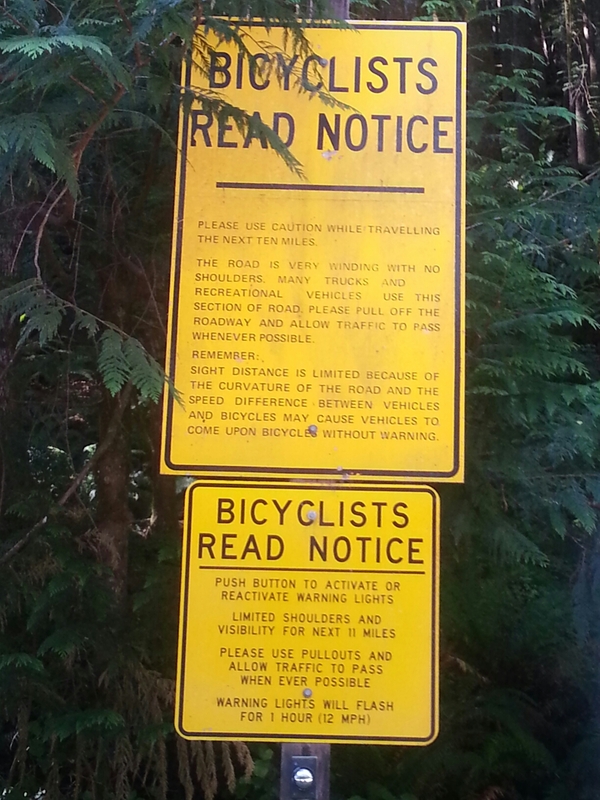 Differing accounts of the trail suitability for our bikes around the north side. This sign along the 101 on the south side. We opted to try the trail. It was less than touring bike friendly, but offered great views and a chance for some impromptu skinny-dipping. 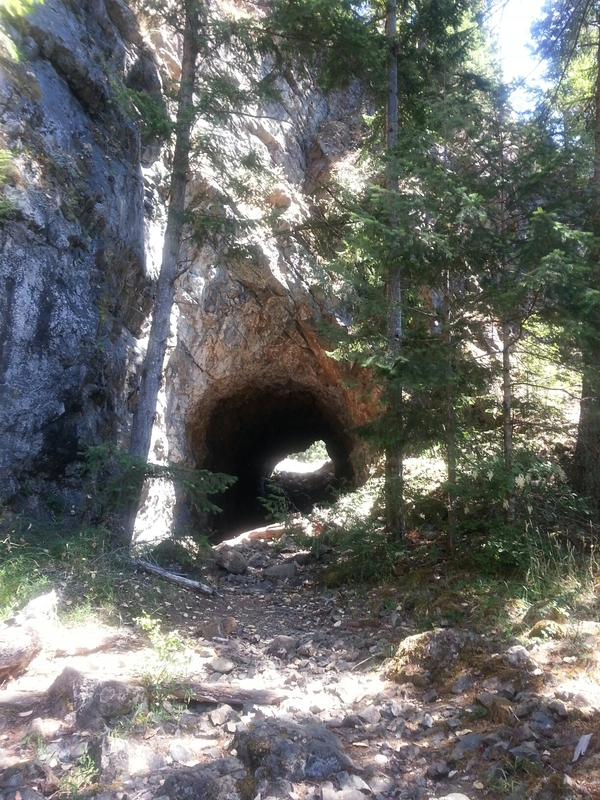 The trail is an old railroad and the abandoned tunnel remained. It was a bit of a hike-a-bike, but we all made it. Into Port Angeles, checked in at the hostel, rode down to the port for beer, back up the hill for Thai food, back down the hill for DQ, bought our ferry tickets and back up to the hostel. Posts the next few days may be sporadic as we will be in a foreign country and only posting when we find Wi-Fi. You’ll have to trust that we are fine. Hoping to meet up with my nephew in Vancouver Monday, still working on our other plans.